We recently evaluated the costs of feeding pasteurized milk to calves in comparison to other feeding systems considering current market conditions. To do so, we utilized a spreadsheet tool we developed a few years ago with colleagues at Virginia Tech. The results may surprise you. The spreadsheet, Calf Milk Pasteurization Evaluator, incorporates costs of feed, equipment ownership, labor, energy use, and cleaning. The table below is a summary of total cost per day using several feeding programs. This comparison was made with a batch pasteurizer available in three different sizes and capable of processing batches up to 10, 30, or 60 gallons. We assumed that the labor requirements for the various options were similar. All scenarios presented here assume that all calves are fed the same source of milk. The spreadsheet tool can be used to evaluate other options if waste milk supply is not adequate to provide feed for all calves. The first two columns in the table provide estimated costs for feeding milk replacer; one program is a milk replacer with 20% protein and 20% fat fed at a rate of 1.25 pounds of powder per calf per day with a cost $75 per bag. The other program is a 26% protein, 20% fat product fed according to the manufacturer's instructions in a step-up program. Over the course of 8 weeks the average amount of powder fed is 2.26 pounds per calf per day, and this product costs $98 per bag. The cost of the milk replacer programs includes the price of milk replacer, a charge for heating hot water to mix the feed, and a charge for soap and water used in cleaning equipment; we assumed mixing was done by hand and did not include any charge for a mixer. The middle group of columns provides estimated costs for feeding pasteurized waste milk under three different scenarios. All of these scenarios assume that waste milk has a value of $3/cwt. The final column provides an estimate for feeding pasteurized whole milk (saleable milk drawn from the bulk tank), with an estimated value of $19/cwt. For most of the scenarios using a pasteurizer, the cost of pasteurization equipment was set at an estimated "base" price of $8,800 for the 10-gallon pasteurizer, $11,500 for the 30-gallon pasteurizer, and $13,500 for the 60-gallon pasteurizer. An additional $500 was assumed for installation costs for each model. Milk was fed at a rate of 1 gallon per calf per day. Under the pasteurized waste milk heading, two alternative scenarios were included to help provide better understanding of the potential costs involved. First, the base price of each pasteurizer was approximately doubled, which represents a worst-case scenario of the amount of investment required to install a pasteurizer and any associated needs such as milk storage, cooling, transportation, or building modifications. Increasing the ownership cost of the equipment in this way provides a range for the cost of using a pasteurizer and increases the fixed cost of the feeding program. 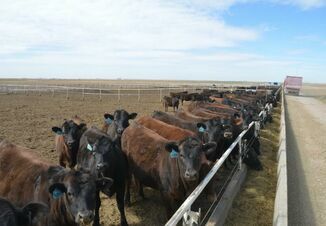 Another alternative scenario was estimated under the assumption that calves were fed 1.5 gallons per day, which increases the variable costs of the feeding program. 1For comparison to milk replacer, waste or whole milk often contains 26 to 28% protein and 28 to 30% fat on a dry matter basis. 2Base price set at $8,800 for the 10-gallon pasteurizer, $11,500 for the 30-gallon pasteurizer, and $13,500 for the 60-gallon pasteurizer; an additional $500 was assumed for installation costs for each model. 3Prices were increased to $16,000, $22,000, and $26,000 for the 10-, 30-, and 60-gallon models respectively; $500 installation was assumed for each model. If we use the rows of the table to compare feed costs for different programs, in almost every case feeding pasteurized waste milk at 1 gallon/day was the lowest cost option, followed by feeding pasteurized waste milk at 1.5 gallons/day. The one exception is when only 5 calves were being fed. With a small number of calves, the 20:20 milk replacer was the least expensive option, but by less than $0.50 per day. The third lowest cost in all rows is the scenario where the investment required in pasteurization equipment was doubled. When feeding 60 or more calves per day, feeding pasteurized milk from the bulk tank provided less expensive feed for calves than the 20:20 milk replacer. In all cases, the most expensive feeding program was the 26:20 milk replacer. 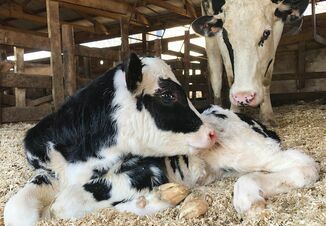 These comparisons do not take into account the differences in nutrition provided by the feeding programs or potential differences in the amount or cost of starter consumed by calves on the program. However, they provide good food for thought and may be a starting point for investigating the cost of your calf feeding program and evaluating potential alternatives. The Calf Milk Pasteurization Evaluator tool can be used to compare the amount of protein and energy provided by different feeding programs and to investigate feeding strategies for when the supply of waste milk is not enough to feed all calves.